With 2 classrooms and 5 teachers, our dance studio is able to provide over 31 classes Monday thru Thursday & Saturday. To view or print our schedule, simply select the button below. However, we would be more than happy to mail you a copy. Just give us a call, provide your name and address and we'll get one out in today's mail. Give us a call or stop by, we'll be happy to answer questions, give you a tour of our dance studio and help you decide the best class for your dancer. PRE SCHOOL DANCE is designed for dancers age 3-6 and will include the basics of ballet and tap dance. Students will have a great time dancing while being in a fun, safe learning environment. BEGINNER DANCE is for any recreational, pre-team or team dancer age 5-10. These classes will include Ballet, Tap, Jazz, Acro, Hip Hop and Choreography! INTERMEDIATE DANCE is for any recreational or team dancer age 7-12. These classes will include Ballet, Tap, Jazz, Hip Hop, Acro, Contemporary, Leaps & Turns and Choreography. 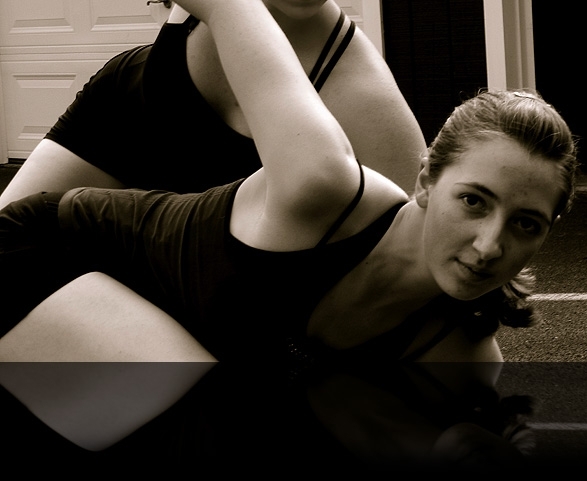 ADVANCED DANCE is designed for the advanced dancer age 13 and up including Adults. These classes will include Ballet, Tap, Jazz, Hip Hop, Acro, Contemporary, Leaps & Turns, Choreography and Zumba!